Build your embroidery and applique skills with this design. This is an applique pillow with both the blocks made in the 5x7 6x10 or 8x12 hoop. There are 2 different blocks that make the heart design on the cushion. The borders and backing are added with your sewing machine. 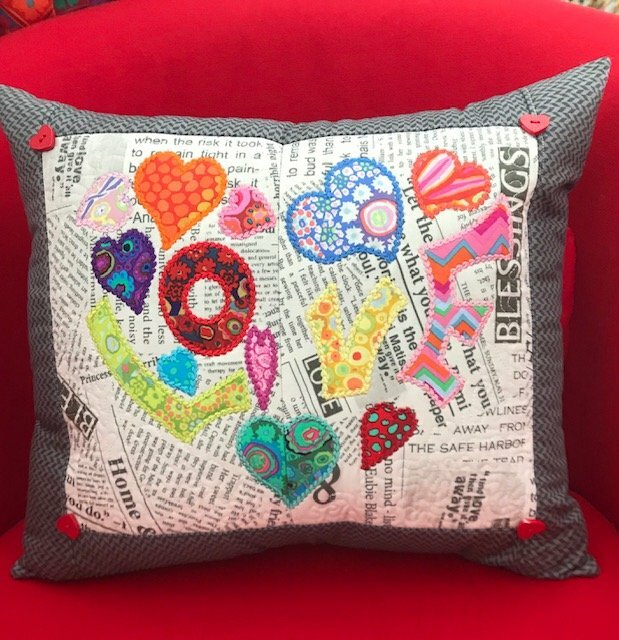 You could make anything you like with the blocks, however, such as a bag, placemat, table runner etc but we will show you how you can quickly turn into a pillow on a serger. Requirements: Embroidery machine with at least a 5 x 7 hoop, appliqu? scissors and basic sewing notions.